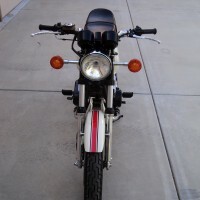 Restored 1975 Honda CB750K2 Motorcycle. 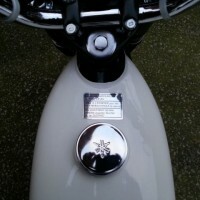 This lovely Honda was comprehensively restored by its owner. 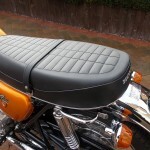 It was fully restored to a very high standard using NOS parts or the original refurbished parts. 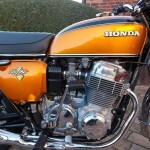 The engine had a complete rebuild using genuine Honda parts. 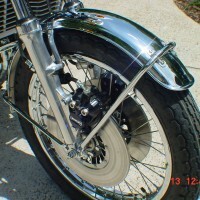 The big end and main bearings were replaced. The primary chain and tensioner was replaced. 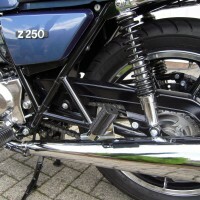 The cam chain and tensioner was replaced. 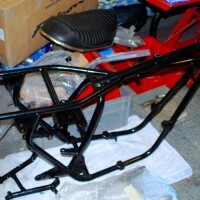 The frame and parts were powder coated. 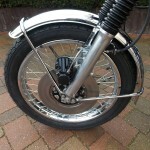 The wheels were rebuilt with DID rims and new spokes. 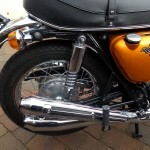 The original rear shock absorbers were rebuilt and re-chromed. 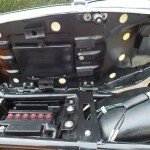 The carburettors were ultrasonically cleaned and rebuilt with new rebuild kits. 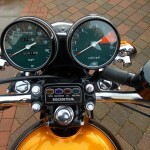 The speedo and tacho were restored with new gauge glasses and covers. 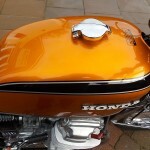 A stunning restored Honda CB750 Motorcycle. 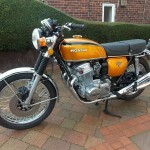 Honda CB750 SOHC – 1975 For Sale or Wanted? 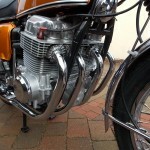 If you're looking for the perfect Honda CB750 SOHC – 1975 for sale then take a look at the hundreds of restored classic motorcycles listed on our extensive Motorcycles For Sale pages. 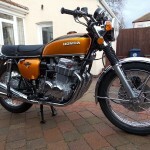 We regularly feature very nice restored Honda CB750 SOHC – 1975 bikes for sale. 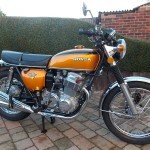 Spares and Parts for your Honda CB750 SOHC – 1975? 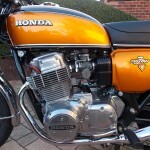 Workshop Manual for your Honda CB750 SOHC – 1975?